Be sure to select a highly reputable builder that has a proven track record of having satisfied customers. Most of the time you hear people complain about building, they’ve somehow gotten connected with a builder who is either unorganized, is overwhelmed, or is over extended. Find a builder that has a proven track record and has excellent references. (Do they have reviews on their website, Facebook page, Houzz.com, etc.?) Teaming up with a successful homebuilder will also usually have professionals that will help guide you through the building process and help you make decisions that will stand the test of time. Some often have an interior designer who may help recommend the choices that are more everlasting versus making a disastrous interior selection that doesn’t go with each other.2. Quality Control and a Hands-on Approach– Builders that visit their job site every day, or who have a competent superintendent is a must. Visiting several of their current job sites under construction is a good way to investigate their day-to-day operation. Does the builder have dependable and reputable sub-contractors? We’ve found that a builder that uses the same contractors over a period of time gives them the known quality control and better service after the sale. This also reduces the risk that something may arise causing construction delays. (The other biggest reason for delays are the actual homebuyer who changes their selections or can’t decide)3. 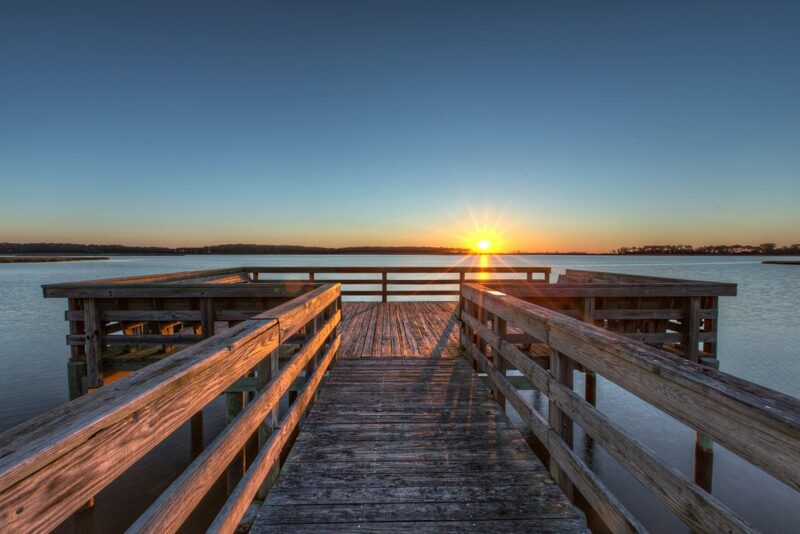 Select a home plan that has been designed for today’s lifestyle! Don’t make the horrible mistake of selecting an outdated floor plan. Most floor plans designed 5-10 years ago may have the smaller kitchens, formal living rooms, and wasted space. Today’s new home plans have finally caught up with how people want to live today. 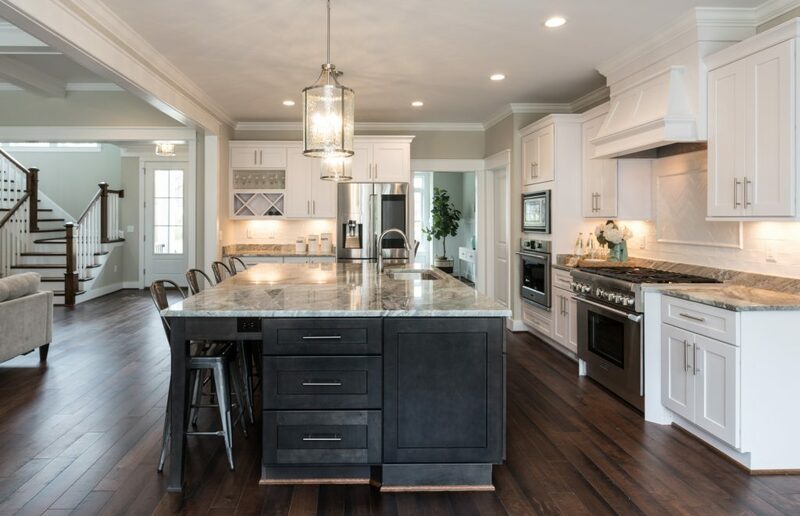 Most homebuyers today move into a new home to get a better designed kitchen, larger center island that connects to a larger family room area, larger informal spaces, larger master showers, larger garage, etc. Outdoor living space and backyard creations are other big hot buttons today. Having the covered back porch lead to some kind of outdoor retreat, either stepping down to a brick paver (or stamped concrete) patio for some type of fire pit or fireplace is very popular. Informal outdoor living is reflective of people’s desire to entertain at their homes more. If you can’t afford to install the patio and fire pit now, plan for it to be added later. Mark Edwards is a Realtor® and broker for East West Realty and has been in the new home industry for 30 years helping homebuyers through the new home building process. 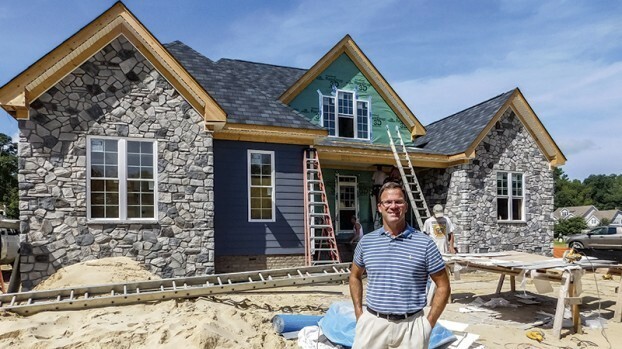 To contact Mark with help in finding the right new home plan and builder, call (757) 288-7584 or email at medwards@eastwestr.com.